Since I have repeatedly requested an interview with you, but have never received an answer, I respectfully submit 10 questions to you in hopes that you will be so kind as to respond to them in writing, if that's your preference. I understand that you are very busy, but I have interviewed most Latin American presidents, as well as President Barack Obama, and would very much appreciate if you could help clarify some key issues surrounding the political violence that is rocking your country, as well as last week's arrest of opposition leader Leopoldo Lopez. 1. If, as you say, Venezuela is at peace and "here we are working, studying, building our fatherland," but the U.S. "empire," CNN and "fascist" groups are promoting the false notion that there is civil unrest, how do you explain the images of bloody confrontations on the streets that have already resulted in at least eight dead and more than 250 wounded in recent days? 2. You keep saying that the student protesters and opposition leaders are "fascists." But who are the real "fascists" in Venezuela? The students who march on the streets demanding a separation of powers, free and fair elections, and end to press censorship, or pro-government militias who wear military-looking clothes, chant "Fatherland or death!," burn down newspaper offices, fire at unarmed street protesters, and glorify dictatorships such as those of Cuba and Syria? 3. You also keep calling the student protesters "golpistas," or coup-mongers. But you yourself recently celebrated the Feb. 4 anniversary of late President Hugo Chavez's 1992 military coup attempt as "the day of national dignity" in Venezuela. Do you think there are "good coups" and "bad coups"? 4. On a related subject, you say that Cuba - it has not allowed free elections, political parties or a free press in more than five decades - is a shining light for the rest of Latin America. Do you think there are "good dictatorships," and "bad dictatorships"? And if Cuban leader Gen. Raul Castro is so popular, why doesn't he allow a free election? 5. If the allegedly "fascist" and "coup-plotting" students who are protesting on the streets are being organized by the U.S. Embassy, as you claimed last week when you ordered the expulsion of three U.S. diplomats, can you show us evidence of the diplomats' destabilizing activities? 6. If Venezuela is a true democracy, as you claim, why did you order the arrest of opposition leader Leopoldo Lopez, and the closing of the NTN24 international news channel last week? Since when is it a crime in a democracy for an opposition leader to call for peaceful protests to ask for a president's resignation, or for a television network to show images of street demonstrations? 7. If you truly want to "put an end to hatred and intolerance, and create a fatherland of love," as you stated last week, why did you threaten your political rivals that same day by saying that "one by one, we will go after the fascists." Wouldn't it be much more constructive to call for a national moratorium on insults in Venezuela, and thereby lay the groundwork for a national dialogue? 8. Why didn't you allow international observers from the European Union, the Organization of American States and other groups in last year's April 14 presidential elections, which according to your government-controlled electoral tribune, you won by a 1.49 percent margin? Wouldn't it help restore calm in your country if you announce measures to allow a truly independent electoral tribunal and equal access to television for the next elections, and started implementing those measures now? 9. How do you explain that Venezuela has benefited from the biggest oil bonanza in history, yet the country currently has the world's highest inflation rate (56 percent), Latin America's lowest economic growth rate (1 percent) and growing shortages of milk, cooking oil, flower and sanitary paper? Since Chavez took office in 1999, oil prices have boomed from $9 a barrel that year to $100 today. 10. Since both you and opposition leader Henrique Capriles have held separate audiences with Pope Francis recently, and both of you claim to respect him, would you agree to a Church-brokered mediation effort to restore democratic guarantees, the separation of powers, freedom of expression and social peace in Venezuela? Please be so kind and respond to these questions, Mr. President. They would help clarify some of the things we honestly don't understand about what is happening in Venezuela. 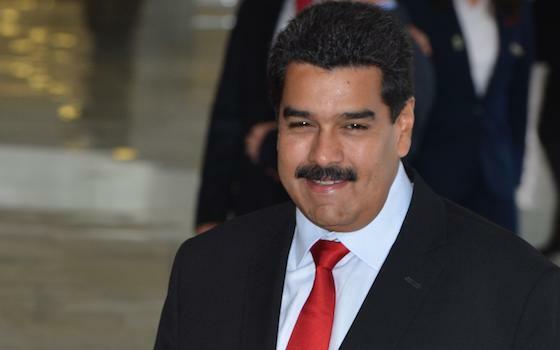 "10 Questions for Venezuela's President"